What Are Those Mysterious 'Earthquake Lights' Popping Up on Social Media? The complexities of rare and extraordinary natural phenomena, like powerful earthquakes, come with mysteries not fully understood. One that seems to get quite a bit of attention from scientists and skeptics alike is earthquake lights, flashes or other glowing phenomena that occur before or during a quake. Reports of these earthquake lights are common, but these strange flashes haven’t quite made it into the world of sound science. “It’s not a geological phenomenon I’m familiar with,” United States Geological Survey geophysicist Robert Sanders told Gizmodo. Of course, gathering data is difficult, as a researcher would need to wait for an unpredictable large earthquake, or rely on potentially bogus eyewitness accounts. Scientists have reported flashes during quakes since before the widespread use of electricity. During one 1888 quake in New Zealand, a Professor Hutton reported seeing a “luminous appearance in the Eastern sky,” but he was skeptical, following his report up with “I mention these things, but I do not think that they were in any way connected with the earthquake.” A 1913 survey from the Bulletin of the Seismological Society of America said it was not “scientific or rational to affirm or deny the existence of luminous earthquake phenomena,” concluding that these lights could have been lightning or meteors. Those researchers don’t offer an explanation. In the modern age, it’s obviously possible that many of these lights are simply the result of damaged transformers—folks in New York City might remember the bright flash caused by an exploding transformer during another violent event, Hurricane Sandy. But another group suggested the possibility that the stress on the Earth’s crust could generate electric fields, potentially strong enough to electrically charge air molecules. I’ve reached out to other experts for opinions on this. Another group tried to recreate a model of these flashes in a lab, and observed voltage spikes. They thought this could be energy released from breaking chemical bonds, according to the Washington Post, like when you chew on a Wint-O-Green Life Saver. There are plenty of other explanations out there, but for now we’ll have to settle with the following: There are probably flashes during quakes. 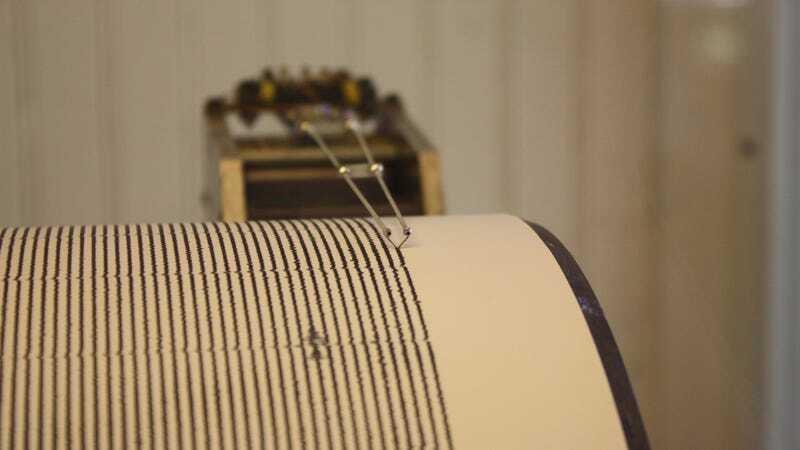 They could be coincidences, they could be due to the earthquake’s effects on the built environment, or they could be some yet-to-be understood scientific phenomenon. Science doesn’t have all the answers; it’s a tool to try and find the answers. And when the Earth is shaking violently, it seems that science has prioritized protecting people over explaining what’s going on in the sky.